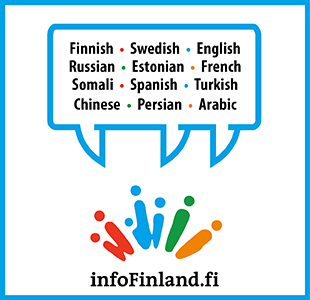 Amidst the variety of perspectives, here are the experiences of three residents living in the Capital Region: Debora, from Italy and now living in Tammisalo; Elisa, who lives in Pohjois-Haaga; and Frank from The Netherlands, who now lives in Vantaa. My daughter Amelia (7) was suffering from vomiting and diarrhoea, and seemed very weak. She got worse during the afternoon, so I decided to take her to Lastenklinikka. To make matters worse, my younger daughter Minea (5) was also developing symptoms. We got there at around 19.30, and a nurse quickly took blood tests and isolated us, thinking Amelia might be contagious. They told us that they would get back to us with the results of the blood test, and a nurse brought rehydration liquid for Amelia. They told us that we probably wouldn’t need to stay the night, but then we didn’t see anyone for two or three hours. At around 22.00, I asked where the doctor was and was told that she was very busy. There was only the one bed, so I had to try and make a bed for Minea and myself out of two chairs. Finally, the doctor came at 00.30. They told me that Amelia would have to stay for the night and go on a drip because she hadn’t had enough liquid – and yet she had drunk exactly what we had been given. If we had been told all of this earlier, I could have arranged for a friend to take Minea, but I had kept her with me simply because we had been told that Amelia would not need to stay overnight. In the morning we were not given any breakfast. I did ask, but was told that we would not be given any because Amelia was going to be released. So I had to buy food and juice from an automat machine. By this time Minea had started to get worse. She was given a popsicle, so I asked if Amelia could have one as well. I was amazed that the nurse actually had to go and ask permission before giving her one! A couple of days later Amelia was still sick, so I called a private doctor to come and see her, which cost 150 euros. He said that she needed to go back on the drip, and told us that she had been released too quickly. We went back to Lastenklinikka and this time they put her on a drip straight away. There was no bed and she was eventually released at 4:30 am. It doesn’t make any sense to me to ask a very sick child to sleep in a chair and then release her in the middle of the night. That isn’t the kind of care I would expect in Italy. The worst of it was that I got the same virus three days later and had to spend a day at Töölö Hospital myself. I was sleeping on the floor downstairs at home because I was too exhausted to go upstairs to bed. So all three of us had Roto or Nora virus, whichever it was. The doctors were friendly, but nobody was over 28! There didn’t seem to be anyone older or more experienced around. One seemed to be having one of his first days, asking a lot of questions that didn’t seem relevant – you have to wonder how experienced he was. In future I would use private health care if we could afford to. But in any case we would have had to go to a public hospital for things like the drip, because private doctors cannot do those things.